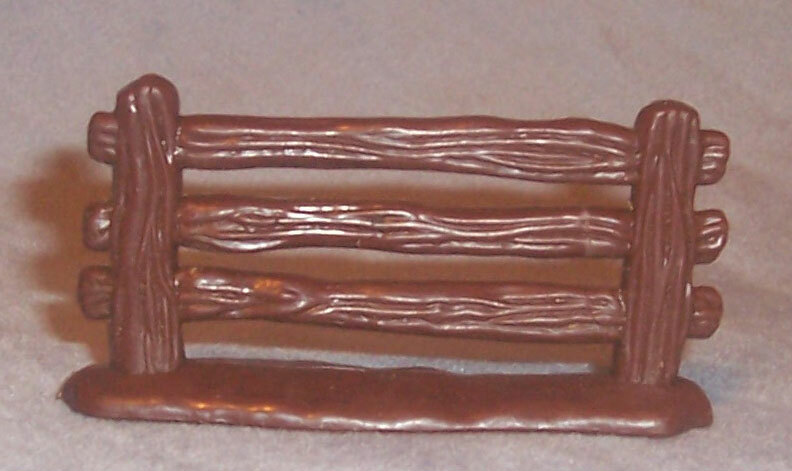 Description: Brown plastic molded "wooden" fence with 3 horizontal posts supported by 2 short upright posts. The fence has a "rounded" "dirt" base. 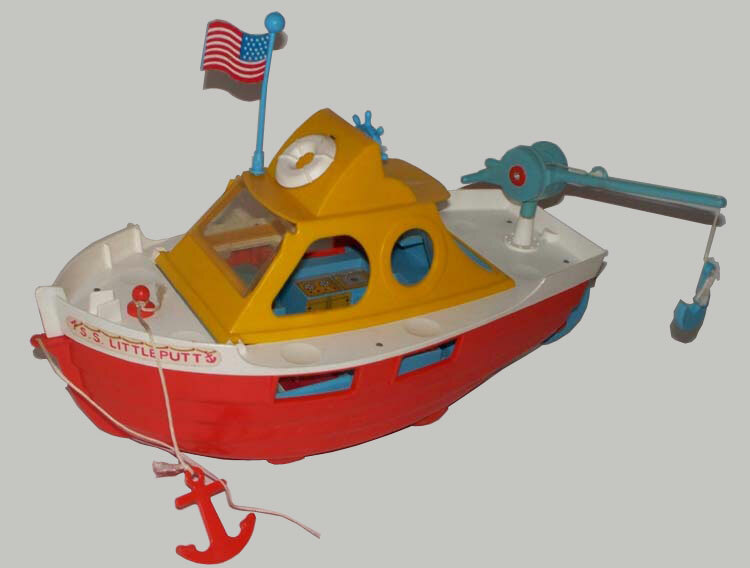 Bottom of base is marked, "©1974 Hasbro®, MADE IN U.S.A.". Measures 1-1/2" tall x 5/8" deep x 2" wide. 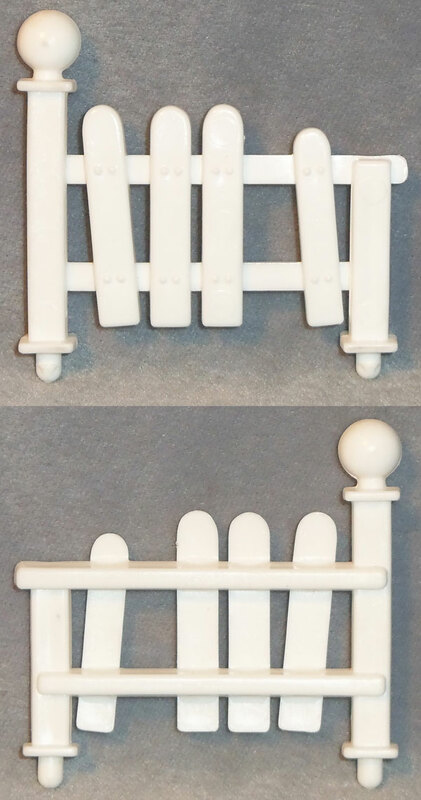 Short white picket fence piece with "broken" rails. Fits on green base beside the front door. 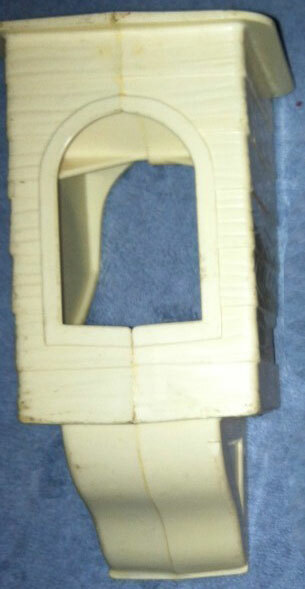 Measures 2-3/8" wide x 2-1/4" tall. Description: Large brown plastic molded "wooden" sign with 2 tall support posts on the sides and attached fence pieces beside each post. 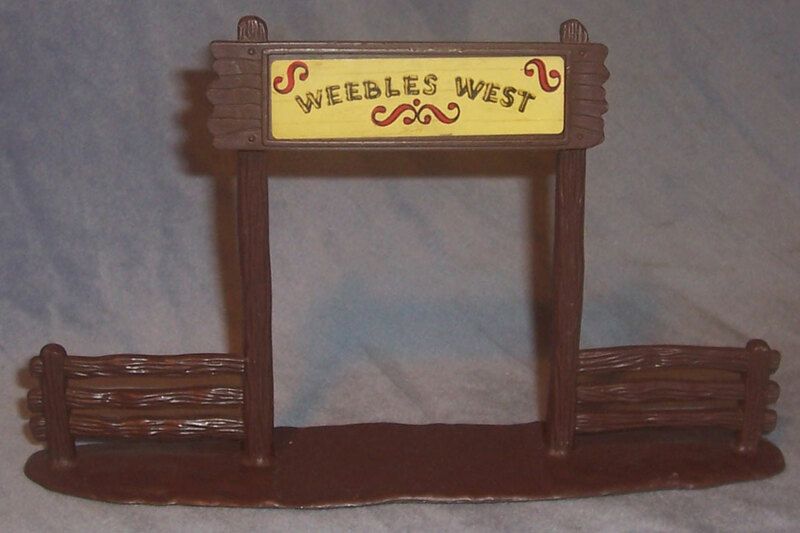 One side of the sign has a litho marked "Weebles West". The sign has a "rounded" "dirt" base. Measures 4-3/4" tall x 1-1/4" deep x 8-7/8" wide. Description: White plastic sign that attaches to the roof of the Hunny Tree. The sign has a litho on one side marked, "Winnie-the-Pooh hunny tree".